Does anyone else have dreams about what they are going to wear the next day? I might be crazy. Anyway, last night, I had a dream about this blazer, and it reminded me that I hadn't worn it in many months. 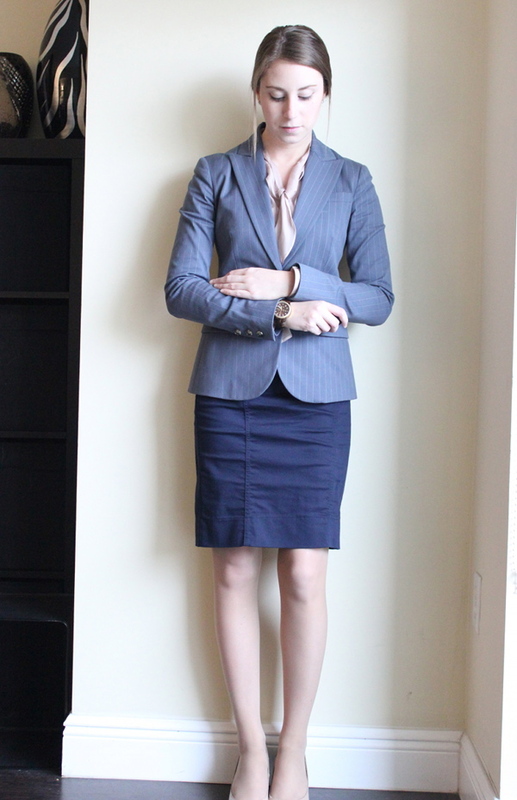 This is mostly because it doesn't have a matching bottom, and I've been wearing a lot of suits lately. Luckily for me, today was Friday, so I felt like I could get away with wearing a mismatched set of blazer and bottom to court today. 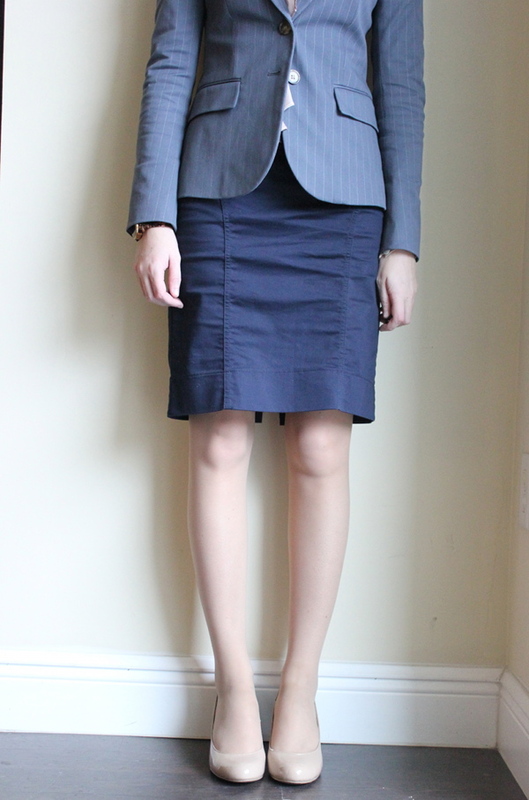 I decided to wear this blazer with my lone navy skirt from H&M. I've also been having thoughts about adding a good quality navy suit to my collection. This skirt just isn't cutting it. It's kind of a coarse cotton material and shows wrinkles terribly. It just doesn't look as nice as a wool skirt would look. Any suggestions on where to buy a navy suit? I'm thinking Theory per usual but am open to other brands! Just casually checking the time as I pose for outfit photos. You know. you look so pretty in these pictures - your skin is amazing!